We have worked with thousands of students; 100% of our clients are satisfied, and 100% of our clients are willing to refer us. Hear directly from our clients here. Or learn more through our FAQ. We understand that getting admitted is life-altering, and we know that business grads earn $2 million more (on average) than peers over a lifetime. Admission to the nation’s top undergraduate business programs is extremely competitive. If you’re serious about getting admitted, you’ve come to the right place. We work with students applying to the top 10 BBA programs and more. Experience: our team is built from “top-three undergraduate business school program” graduates and admissions professionals as well as top marketers from America’s biggest brands. We have successfully worked with thousands of applicants over the past decade. Knowledge: we connect with admissions offices before each cycle to ascertain what they are looking for in candidates during that cycle. We combine our business and marketing acumen with our admissions knowledge and experience to ensure that you submit the best application possible. Strategic Approach: a key component of our process is utilizing a strategic mindset to determine an overall application strategy, deconstruct the application, and ensure maximum impact from each piece of the application. Results: 100% of our clients have indicated that their investment is worthwhile. We specialize in undergraduate business school applications. Combining our business experience and knowledge with admissions knowledge, we are business school experts. 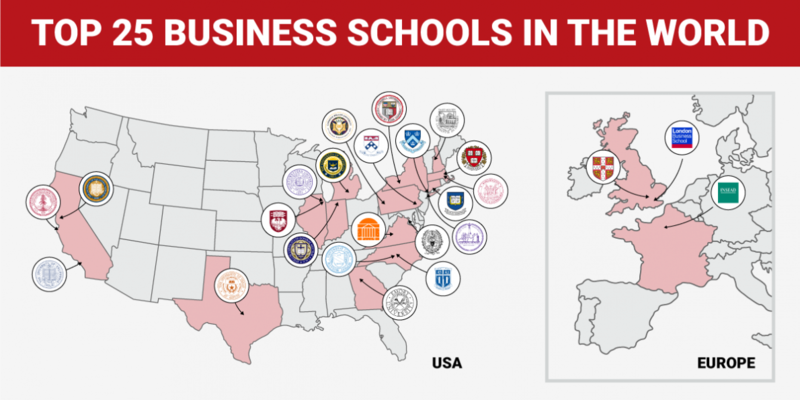 We work with students applying to all business school programs, particularly the top 10. Most top programs accept applications from high school students. The following schools have sophomore-and-junior-start program options. When a decision is this big, you can't take it lightly.